John Lewis & Partners, the UK chain of high-end department stores (homeware, furniture and fashion) has created memorable Christmas ads for many years, but none so stunning as the current one. 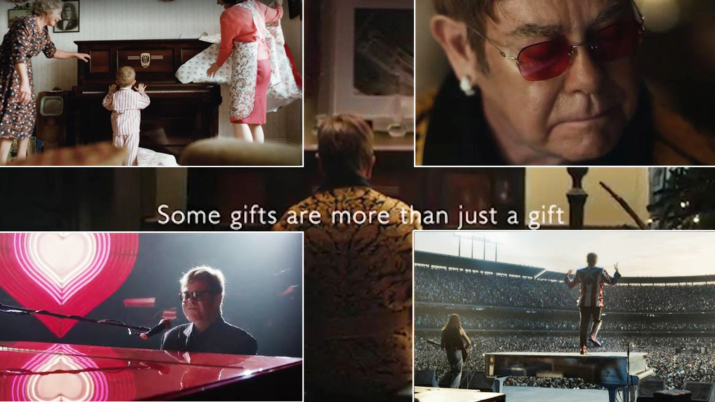 The new television spot “The Boy and the Piano”, focuses solely on legendary musician Elton John and how a gift can change a life. It begins with the 71-year old Elton tapping at a piano. As his classic “Your Song” begins to play, we are taken back through his life, seeing his career’s formative and famous highlights, ending with a bright-eyed young Elton receiving a piano on Christmas Day as his Mother and Grandmother look on. The production value of the campaign is staggering. Over 300 scripts were considered and the attention to detail is amazing, including the selection of unknown, look-a-like actors who seamlessly depict Elton at various ages. The commercial is over two minutes long and every second is captivating. Many brands during the holidays pull out all the stops to tug on our hearts in order to manipulate us into purchasing products and services. Instead of employing that tactic, John Lewis & Partners inspires us with an important message: “Some gifts are more than just a gift”. The commercial reminds us that it’s not about giving the most expensive gift to a loved one, but rather one that could make a difference in that person’s life…contributing to who they can become or what they can accomplish. This ad is an example of the strength of marketing to captivate, entertain and move our hearts. And for us older folks who grew up on Elton’s music, it’s a wonderful journey through our own memories.